I am now back in the north of England after a fun and cruise filled weekend in London. As some of you know I spent the weekend at the Cruise Show. This is an event held once a year that allows the general public to come along and learn all there is to possibly know about cruising and I do mean that literally. 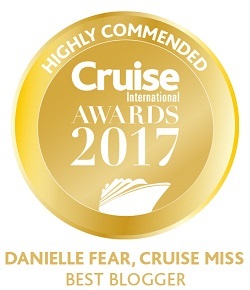 Aside from cruise line employees being there to offer advice on cruises and bookings they also have scheduled talks that take place throughout the day and are hosted by various different people within cruise travel. I did listen to one or two of these talks, one being the “New to Cruising” option which was headed up by some of the big players within the cruise industry. This was actually a very interesting talk and although having cruised many times I did enjoy listening to what each individual had to say. My favourite talk however was from Voyages to Antiquity. Now I need to be entirely honest and say I didn’t listen to the entire talk, I was having a conversation with someone elsewhere so I only managed to grab the last 20 minutes but really, that’s all I needed! Voyages to Antiquity are a cruise line I have been aware of for many, many years. I certainly was not ignorant to that fact but, it seems I was ignorant to just what this line has to offer. MV Aegean Odyssey is the lines only ship and she may be 40 years old but, what a ship she is! Once I settled into the talk I really was hooked. Her dining options looked superb. 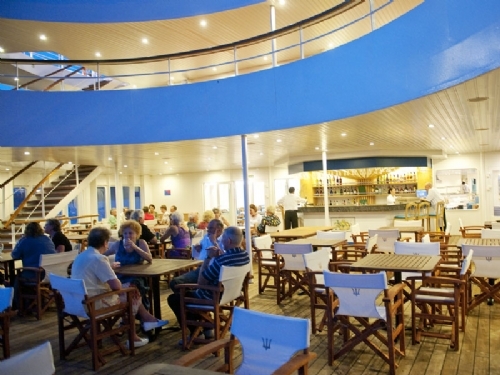 You could chose to dine Al-Fresco more or less every morning, afternoon and evening right at the back of the ship. There are not many cruise lines out there that have this type of dining option around the clock and it’s these options that really appeal to me, especially when cruising in warmer regions. The talk also showcased her beautiful mid-ships area which consisted of a nice sized swimming pool and some mattress topped sun loungers. There seemed to be no more than 40 loungers and all were spaced apart perfectly. There really was more than enough room to have the deck full and not feel crowded in the slightest, again this appeals to me massively. I could imagine myself lying there, soaking up the sun and briefly I forgot that I was in Central London and it was snowing outside. Another interesting aspect to this ship is that she has no formal dress codes, I know, I was surprised too and this was actually something that before the show I didn’t know! See, even I learned something new! I think it’s nice the ship is more relaxed because it’s not what you would initially expect. When it comes to staterooms the vessel was actually built to accommodate 570 passengers but she was transformed into a vessel with just room for 350 passengers. I imagine that gives you a minds impression of the space there now is within on-board accommodation. MV Aegean Odyssey is only a small ship, just 11,000 GT and usually I would go for a much larger ship however, I was inspired by the talk and she is certainly a ship I would like to experience for myself one day. Her size works for her perfectly, she can access ports that are off limits to the industries larger vessels but with just 350 passengers on-board I expect the entire cruise experience would be far more personal on-board and ultimately interesting ashore. Fine, but with 350 passengers on the ship what happens if more than 40 people want to enjoy the “non crowded” atmosphere on deck. Might this not be a disadvantage, rather than a reason for such a glowing review? Personally I don’t think so. As I mentioned there was more than enough room to have 40-people in one area, even if that doubled it would still be incredibly spacious. I suppose though one really needs to experience it first hand to know this for sure. I can only comment on what I could physically see. Good point though, Jon! Thank you for your comment. 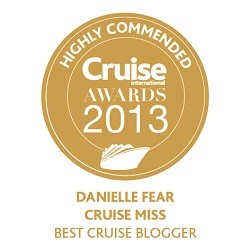 Danielle could not be more correct in her observations of the Aegean Odyssey. 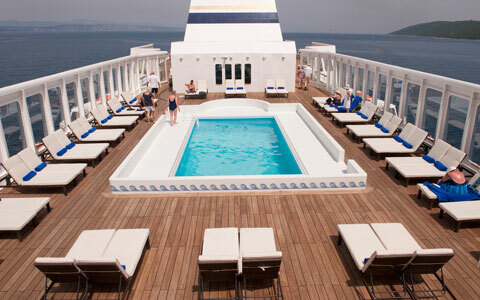 A relative newcomer on the cruise scene, Voyages to Antiquity stepped smartly into a special niche of the cruise market and made it their busines to be the best! The team managing this ship,it’s passengers and everything on offer knows what they are doing. Nothing is any trouble for the team in Oxford and the crew and officers on board go out of their way to make every passenger’s cruise unforgettable. 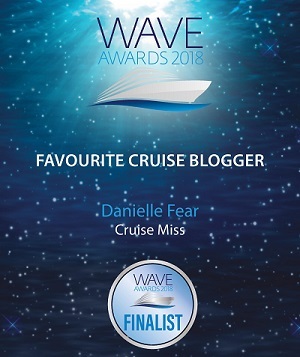 We will be on the Aegean Odyssey in May and we are already eyeing next year’s itinerary!Well done to Voyages to Antiquity and I hope Danielle gets on board soon!